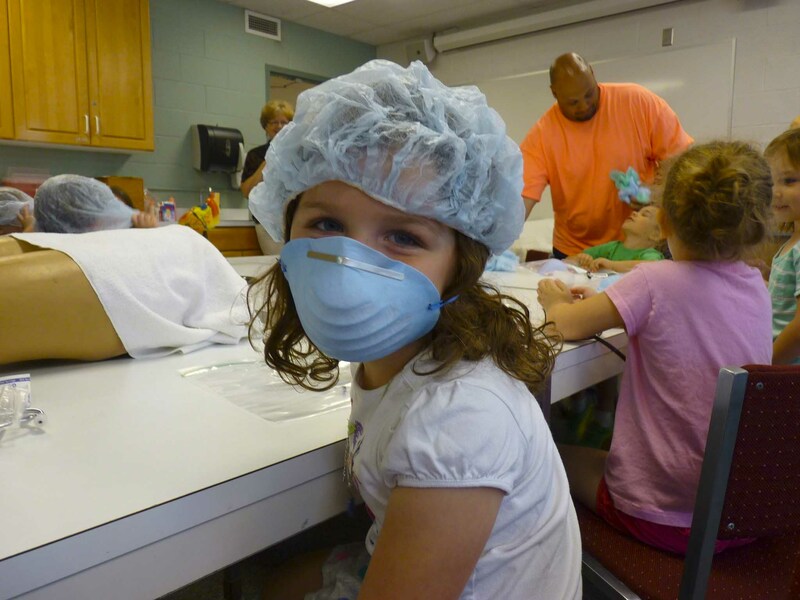 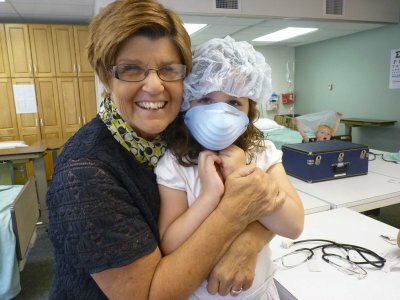 This spring, Vicky Kirkton, associate professor and director of the RN to BSN program at Goshen College invited the Campus Center for Young Children (CCYC) four year old class (including her granddaughter, Brianna) to the simulation lab in the Department of Nursing to learn what nurses do. 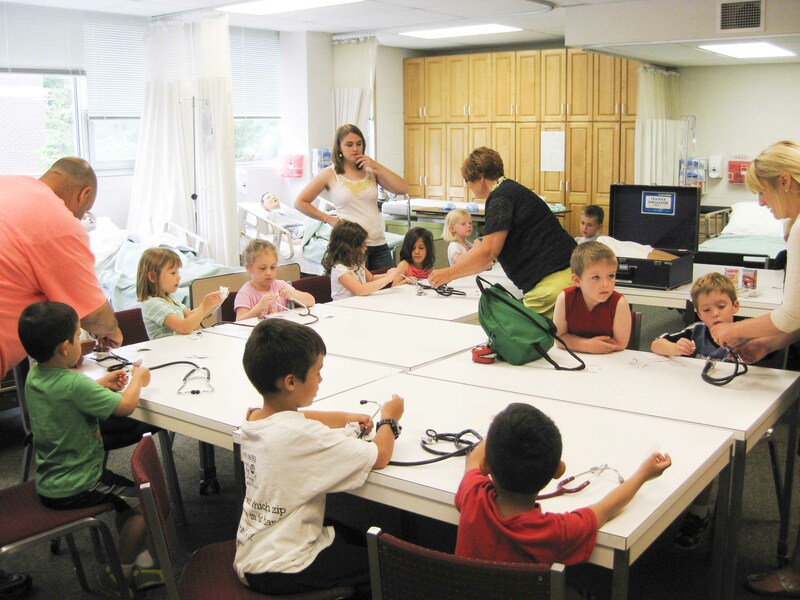 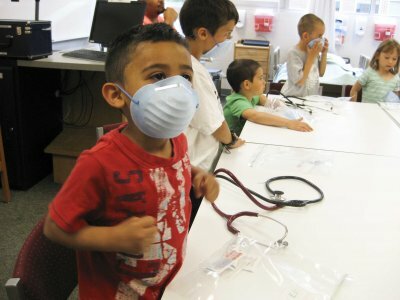 The children were able to listen to one another’s heart beat utilizing the stethoscopes in the lab. 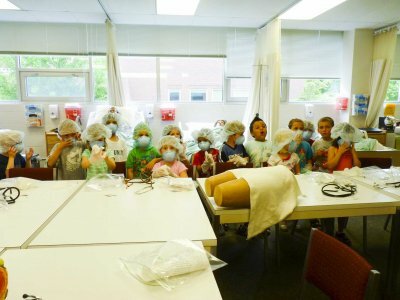 They examined a heart model to learn more about what their heart looks like and how it works. They were able to put on a surgical hat, gown, and gloves. The children examined the mannequins and one of the kids asked, “are they real?”. 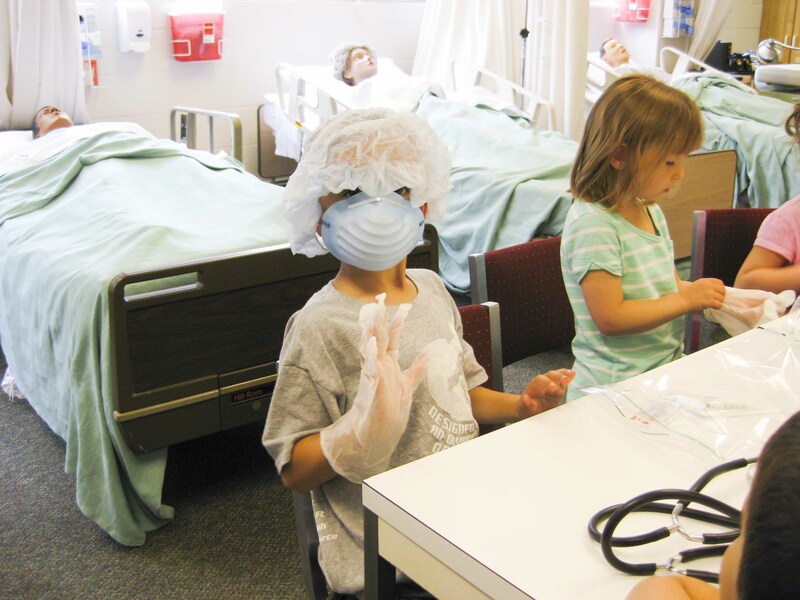 They inspected those mannequins, asking good questions to enhance their learning. The children spent the last few minutes coloring pictures of what nurses do. 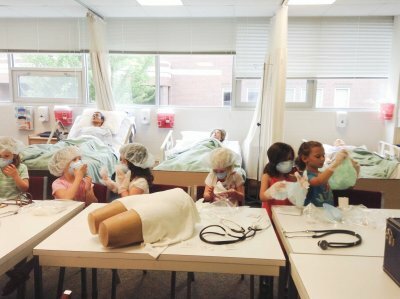 They enjoyed giving each other rides up and down on the hospital beds and were able to take home a bag of simulation supplies that included, hat, mask, gloves, syringe, alcohol swabs, and decorated band-aids. 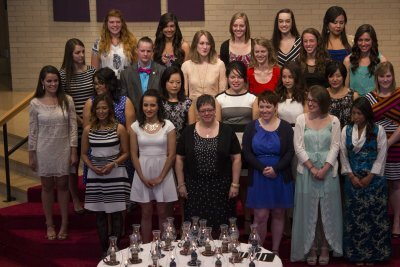 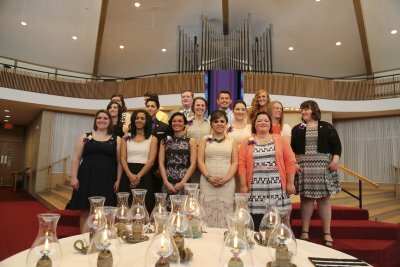 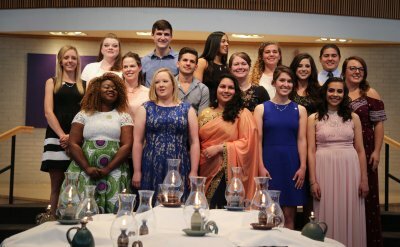 Kirkton encouraged them all to come to Goshen College and learn to be a nurse or doctor when they grow up. 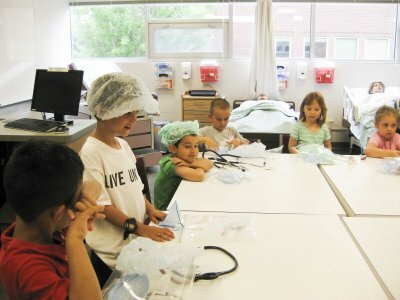 It’s never too early to start thinking about how you’re going to change the world!